Enterprise data management depends on an integrated data architecture that facilitates the retrieval, analysis and manipulation of data across all functions and business units, as well as several applications. However, in today’s environment the information is scattered across multiple applications and diversified platforms. With the advent of big data, organizations now face the growing challenge of getting meaningful information from many different sources of data. To accomplish an integrated data architecture, organizations must implement sophisticated processes and methodologies in compliance with changing regulations. To make the most of the available data, organizations need an efficient process and foundation for handling the data architecture and creating an efficient way to securely manage data across the enterprise. At Quadratics, our data management services provide innovative enterprise solutions, customizable to fit the information needs of any organization, helping drive better decision-making and improve business performance. Our skills include data governance, data integration, data quality analysis, master data management and data architecture design, development and maintenance. Our proven methodologies and industry leading tools transform the various data into actionable insights while adhering to organizational guidelines. Pre processes starts at the top of the business. Where decisions regarding the sanctioning of data by creating policies and decisions around data that includes how to form data and who can use the data. The post process involves the daily strategies that support the continued formation of data policies and decisions. Strong decisions within data governance including data security & data privacy lead to higher levels of data quality. The higher the data quality the more usable it becomes. 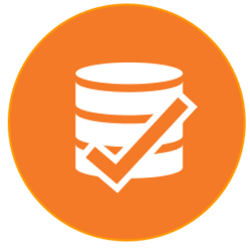 One of DFZ core competencies is setting the direction of your organizations data quality. By collecting data quality rules across the enterprise, reconciling gaps, and continuously monitoring your data quality. Imply put, without strong levels of data integration, the solution will fail. We can continuously improve integration by leveraging both meta data management and master data management..
Disparate data source require various levels of integration in order to support the solution. 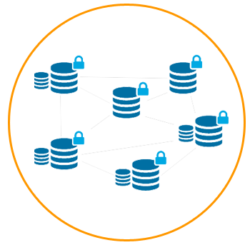 Data Integration is only possible with consistent data definitions across the enterprise. Quadratic Technology Solutions is a value added company that provides key IT consulting services, specializing in providing business intelligence solutions to our clients. Quadratics© 2018. All rights reserved.